Takes readers on a inky quest through an enchanted forest to discover what lies in the castle at its heart. 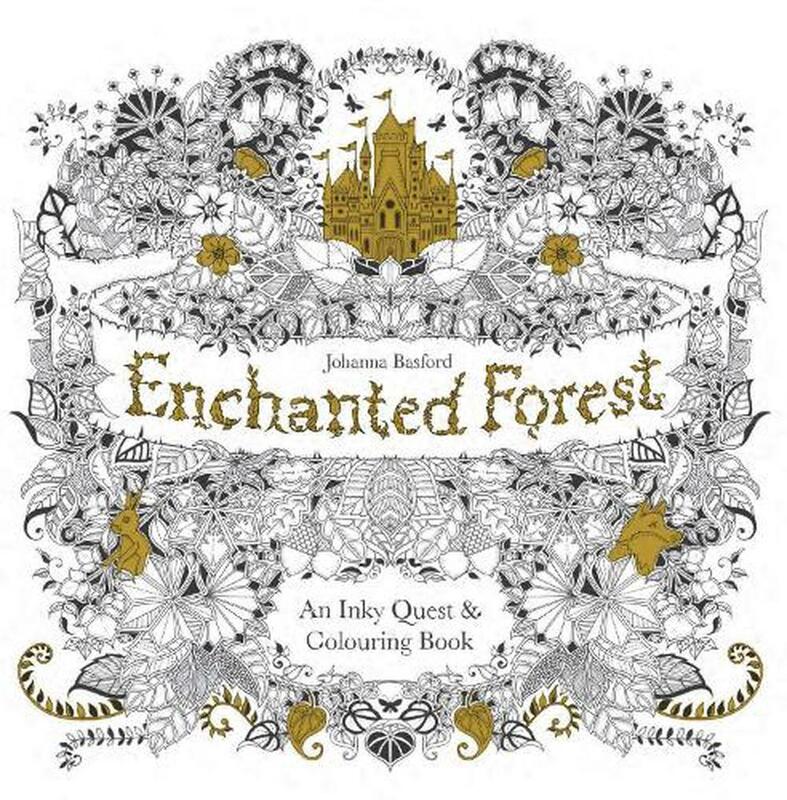 As well as drawings to complete, colour and embellish, this title features hidden objects to be found along the way including wild flowers, animals and birds, gems, lanterns, keys and treasure chests. Beautiful book I wish I had purchased more and probably will.